Do you have room for a 1’ x 4’ shelf? How about a pizza box? Maybe you can find space for a shoebox? 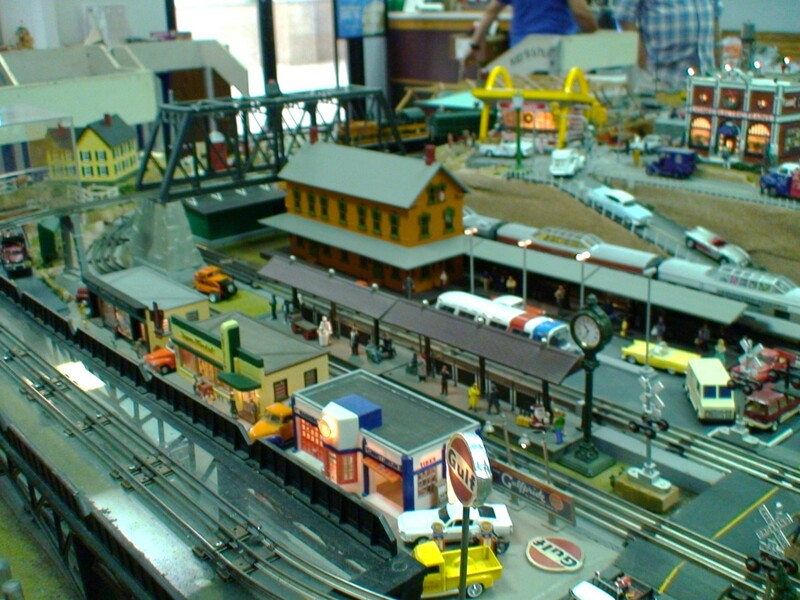 If you answered yes to any of these questions, then you have room for a special type of model railroad layout. A micro-layout is defined as taking up four square feet or less but with a “clear purpose and excellent operating capacity.” The quote is from Carl Arendt, whom I consider that father of micro-layouts. 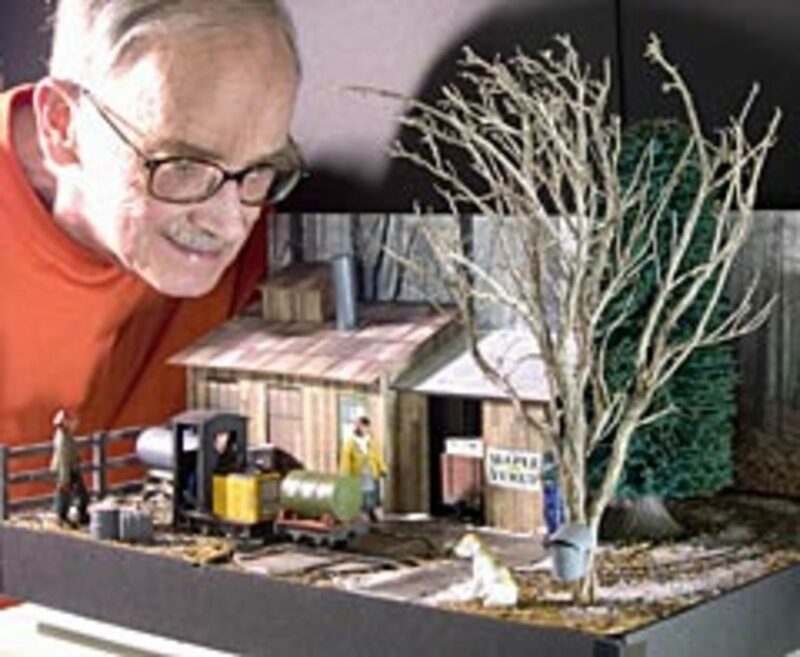 Carl built his first micro-layout in 1966, when everyone else was still constructing basement-sized empires. After taking a break of 36 years, he resumed his interest by creating a website of over 1,500 layouts, and publishing three books on the subject. He unfortunately passed away in March 2011, and his website temporarily disappeared. 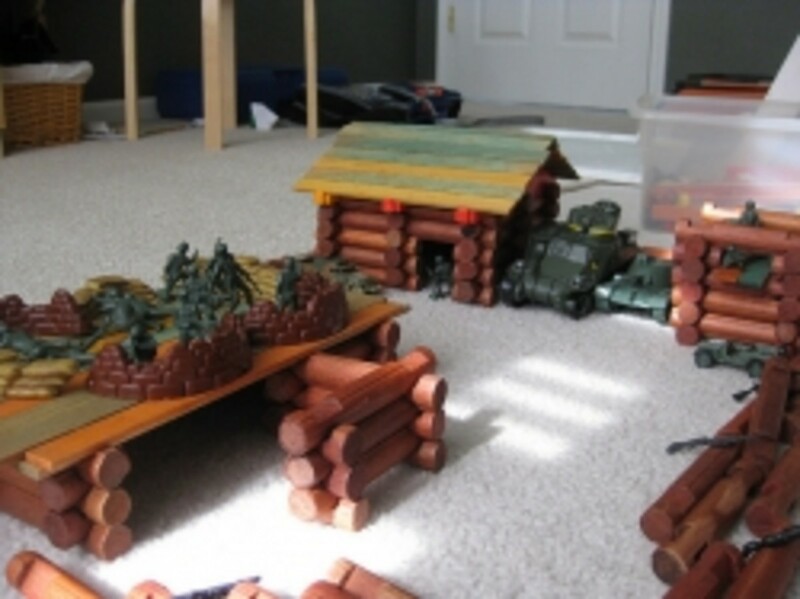 Fortunately, two concerned hobbyists, Jack Trollope and Jonathan Scott, took up the cause and resurrected Carl’s efforts. Micro-layouts come in several varieties, with one of the most common being the shelf switcher, which adds multiple turnouts and high detail to provide operational and viewing interest. 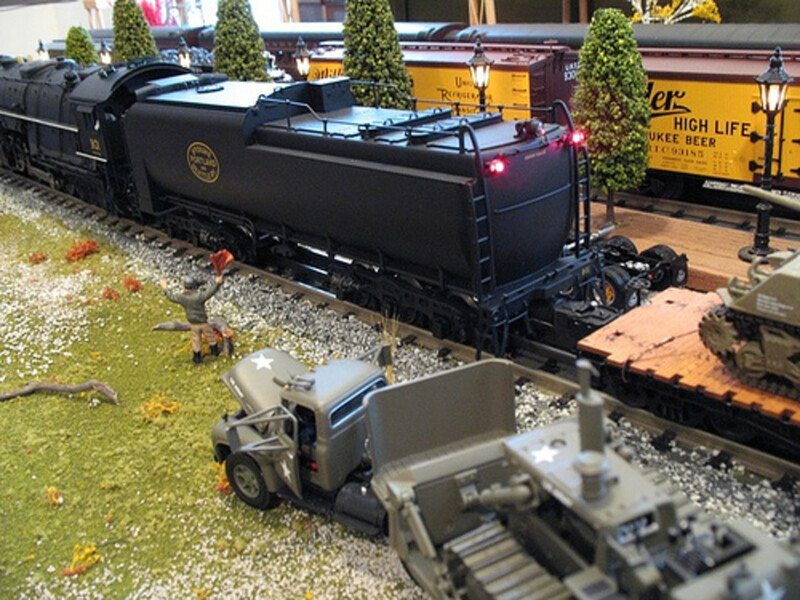 Any scale can be used from Z all the way up to G. The photograph shows an example of the Squarefoot Estate Railway, which squeezes a G-scale layout into only 11” x 14”. A sector plate, which is a track hinged at one end and outside the main scenic area, can swing among three stage tracks to simulate the pick-up and processing of gravel. Shelf layouts are typically mounted close to eye-level so that the detail can increase depth. 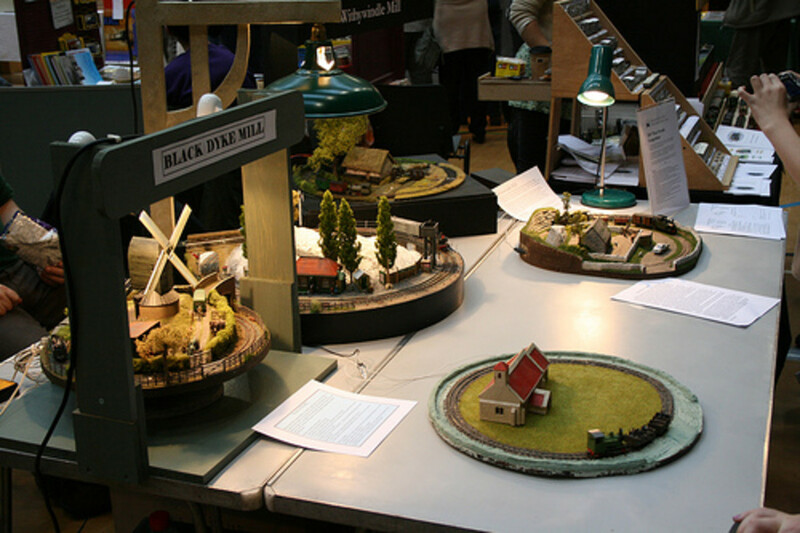 They resemble moving dioramas with a staged viewing area, and frequently, an offstage fiddle area. Locomotives and cars can be moved among several tracks through the use of sector plates, transfer tables, turntables and even movable cassettes for loading and unloading entire consists. Some puzzle layouts use minimal scenery with maximum turnouts. On such pikes, the objective is to move cars from different areas to different destinations as quickly as possible. A pizza layout fits in the space of a pizza box and typically consists of a loop of track. It’s designed for those who prefer to watch trains pass by. Such layouts typically have buildings or scenery in the middle, so trains can actually disappear from sight temporarily. Sticking with a smaller scale can actually produce a pizza layout with track on two levels. Increasing the size of the box to perhaps three or four-foot square can expand the circular layout to double tracks or to having turnouts and sidings. Shoebox layouts cram an entire pike into a shoebox size, and is a variation of the container layout. The small size allows several to be built and stacked for easy transport to shows and exhibitions. 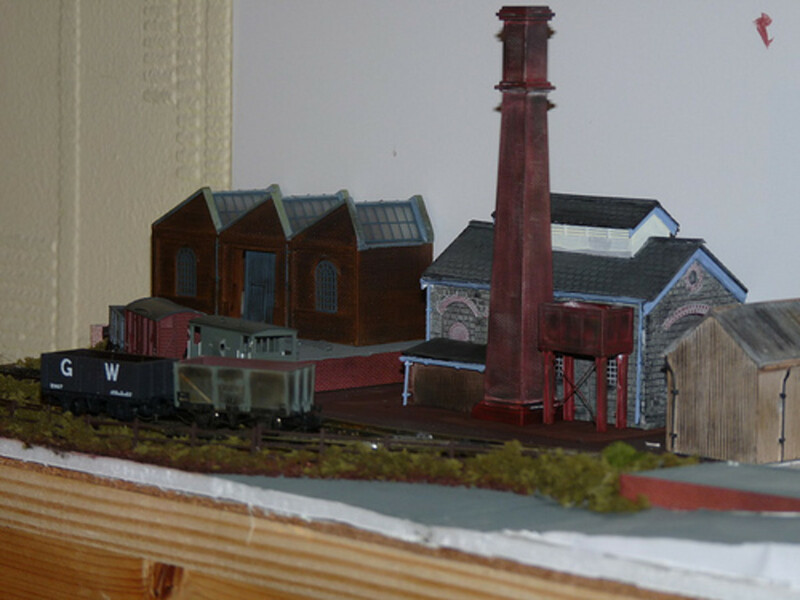 It also allows the modeler to experiment with several highly detailed scenes, which he can complete in a reasonable time, as opposed to working on a large pike, which may never be finished. 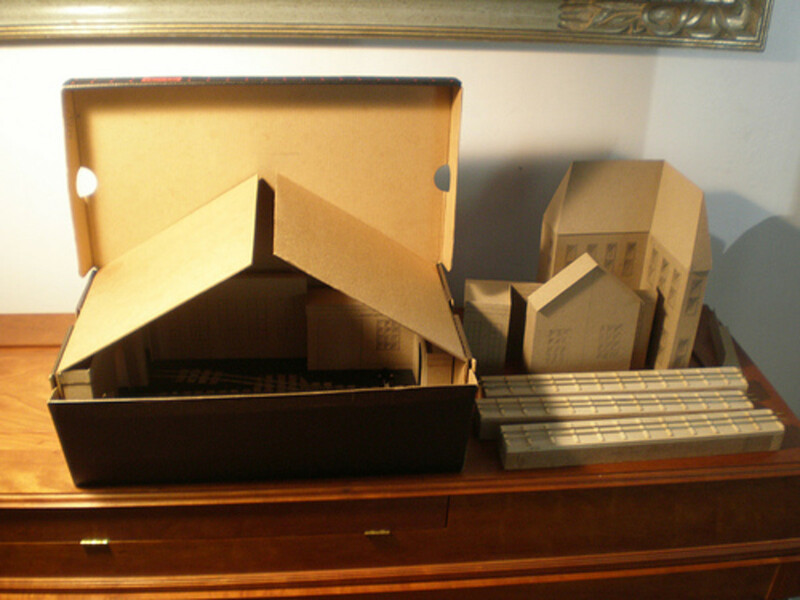 Other containers that can hold layouts include briefcases, primarily for Z-scale, instrument cases, wine boxes and suitcases. Careful planning can also store power packs, locomotives and cars in the same case as the track. This allows the entire layout to be transported even on commercial airlines. 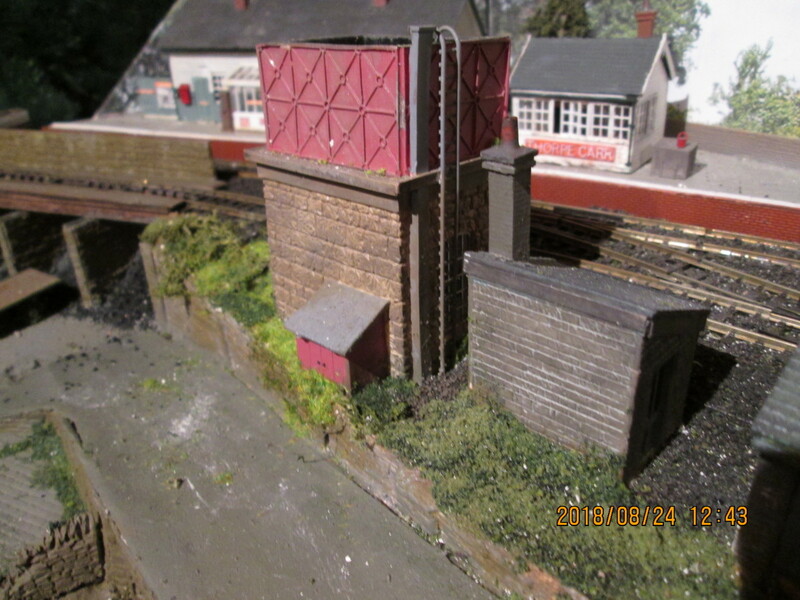 You’ll find enough examples of layouts to whet your appetite at Carl’s website. However, be aware that the site already disappeared once, and could do so again. If you want a more permanent archive of layout possibilities, consider buying one of Carl Arendt’s self-published books. Just to further inspire your creation of a micro-layout, here is a video of one in action. Be inspired or just take a quick break from dreary reality by marveling at this collection of videos showcasing wonderful layouts in Z, N, HO, O and G scales. 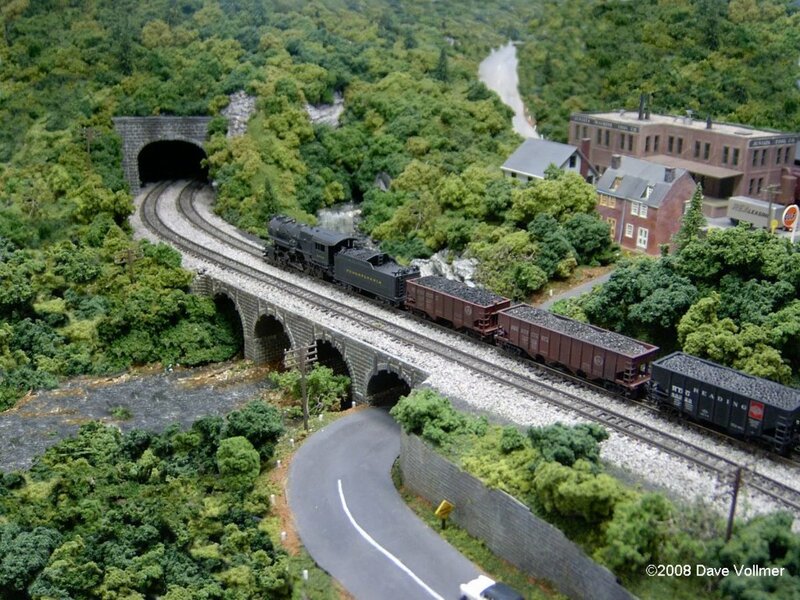 Take a break and peruse one of these wonderful online model train sites. 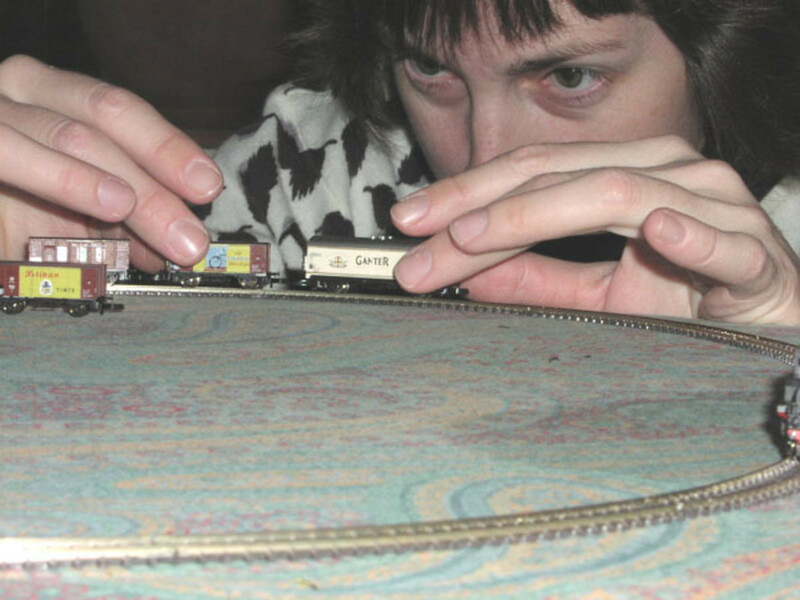 Five layouts that can inspire your HO train dreams, with track plans. 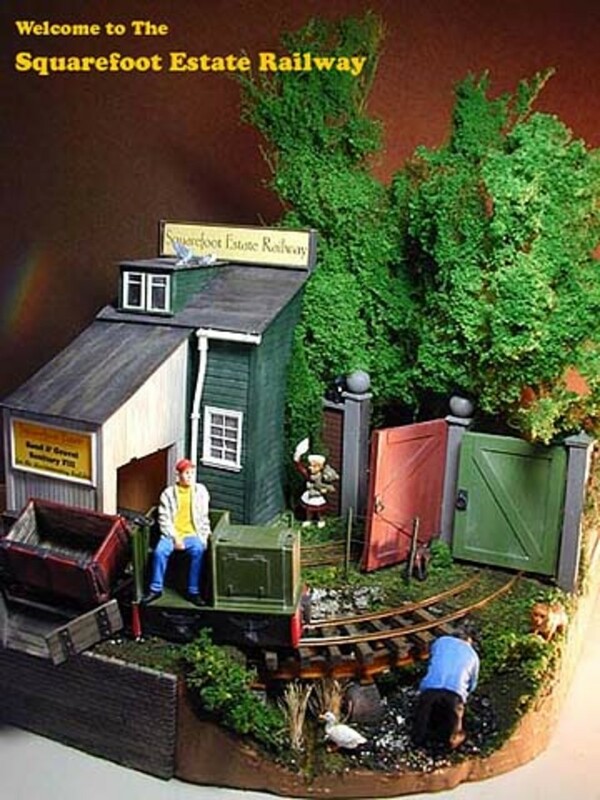 Need some inspiration for your N-scale layout? Then check out these N-scale track plans. 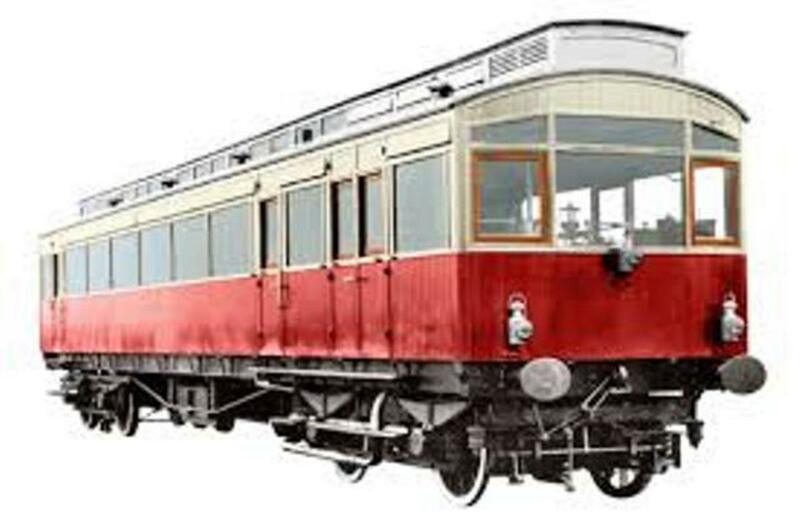 A list of model trolley resources to inspire you. a pizza layout is not called thus because it fits in a pizza box, but because of its circular (pizza) shape. As long as it is no more then 4 square feet it is a micro. You layout is beautiful, Olivier. I know nothing about model trains but these micro layouts are too cute! I wish I had one in the corner of my study. This has been an interesting read, Aurelio.